"Five Stars. Perhaps the most transcendent of David Wilson's brilliant recordings, this remarkable LP comes as close to putting the two performers in the listening room as any (recording) ever made ... a close perspective which heightens transparency and engagement as well as wonderfully capturing the beautiful tonality ... the duo performs these works as if they are one." Julie Steinberg and David Abel are transported to your listening room on this brilliant Wilson Audiophile recording, called " transcendent" by The Absolute Sound. The duo performs these sonatas on instruments fitting of their talent and the quality of the sound: Steinberg plays a nine foot Hamburg Steinway model D concert grand, selected for its almost magical harmonic warmth and evenness of tone, while Abel's violin is a Guarnerius; built in Cremona, Italy in 1719, it sings with speed, focus and sweetness. 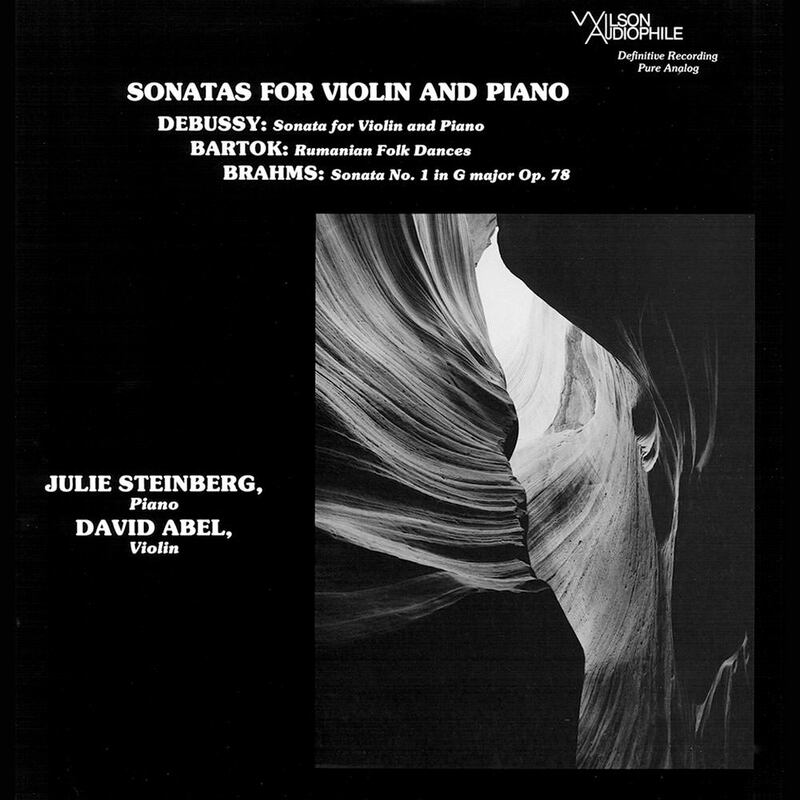 "... Abel and Steinberg’s records for Wilson are the best sounding chamber music recordings I’ve ever heard."